Home > Airships & Zeppelins! 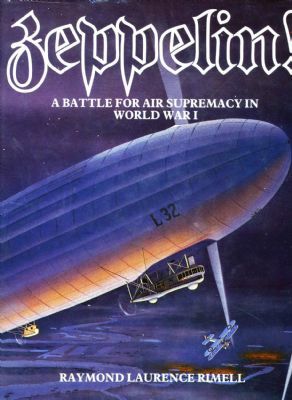 Published in 1984 by Conway Maritime, this 256 page large format hardback tells the story of the Zeppelin offensive in WWI,from the very airship first raids on England to the destruction of L53,the last Zeppelin brought down in combat.Over 300 illustrations,most from private collections,plus a large number of first-hand accounts,give vivid insight into the drama of the airship attacks and how they were eventually checked by fighter pilots of the RFC and RNAS. 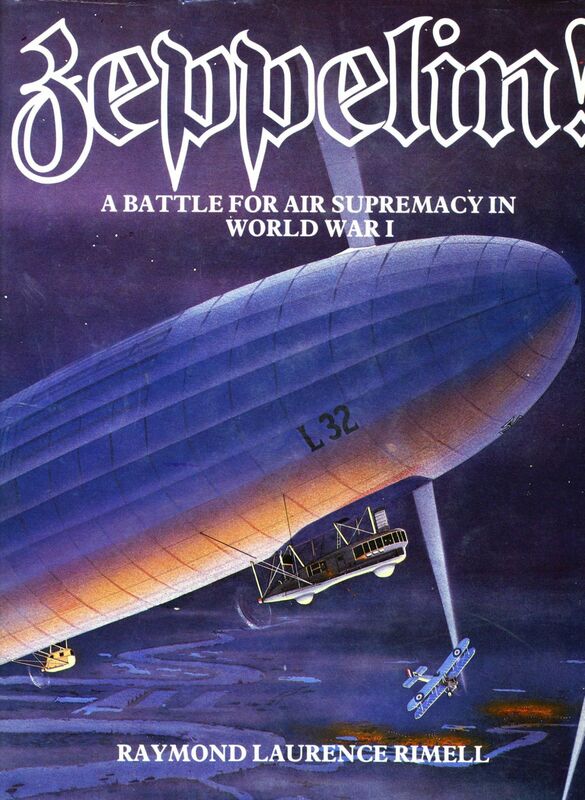 Detailed chapters cover Zeppelin design and operation; development of defence aircraft and weaponry;a full chronicle of the airship raids on the British Isles: highly detailed reports of every airship shot down by British fliers in WWI;drawings ,maps plus exhaustive notes and appendices to provide the first really accurate account of the Zeppelin menace and how it was ultimately defeated. This Canada's Wings copy,identical to the original Conway edition, is in very good condition with slight wear to the lower board edges and minimal creases on the dust jacket which comes with a protective transparent sleeve. Signed by the author and shipped in a rigid cardboard box.